This blog, although not brief, is a brief report on some of the significant environmental law and administrative cases decided in late December and the first quarter of 2016. FERC Final Rule re Demand Response Valid. On January 25, the Court, in FERC v. Electric Power Supply Assoc., reversed the D.C. Court of Appeals which had held that a final rule of FERC governing the “demand response” in which operators of wholesale electricity markets (regulated by FERC) pay electricity consumers (arguably subject only to state regulation) for commitments not to use electricity at certain times (such as those times when the demand for this power is greatest) was invalid. The Court held that the rule does not cross the lines setting the boundaries between the states and the federal government regarding the exercise of regulatory power over the sale of electricity. Is a Corps of Engineers Jurisdictional Determination a Final Order? On March 30, the Court heard oral arguments in U.S. Army Corps of Eng’rs v. Hawkes Co. regarding whether an administrative Corps of Engineers’ jurisdictional determination that a project is subject to federal permitting because it is located in the “waters of the United States” is a “final action” subject to an immediate appeal to a federal court instead of a prolonged administrative appeal before the Corps of Engineers. The Court’s decision may have a significant impact on scores of federal permitting actions. Tobacco Companies Do Not Have Standing Because EPA Has Not Issued a Final Rule. On January 15, the Court, in R.J. Reynolds Tobacco Co., et al. v. U.S. Food and Drug Admin., et al., reversed the district court’s ruling for the plaintiffs and its issuance of an order dissolving the FDA committee and enjoining use of the FDA committee’s report on the safety of menthol cigarettes due to alleged unlawful conflicts of interest relating to three of the FDA committee’s members. It did so because it found that the plaintiff tobacco companies lacked standing to complain because the FDA has not issued its final rule. Confirms EPA’s Statutory Rulemaking Duties Under CERCLA. On January 29, the Court, in In re: Idaho Conservation League, released an order which will require EPA to finally issue rules regarding the financial assurances regulations required by Section 108(b) of the Comprehensive Environmental Response, Compensation, and Liability Act of 1980, 42 U.S.C. §§ 9601 et seq. (CERCLA or Superfund), for the hardrock mining industry and a timetable by which EPA would consider whether other industries would be involved with a financial assurance rulemaking. Dunes Sagebrush Lizard Is Not An Endangered Species. On March 1, the Court, in Defenders of Wildlife and Center for Biological Diversity v. Jewell, issued a unanimous ruling affirming the district court’s decision that the U.S. Fish and Wildlife Service’s (Service) withdrawal of the proposed listing of the Dunes Sagebrush Lizard located in New Mexico and West Texas as an endangered species was consistent with the Endangered Species Act (ESA) and the policies the Service has employed to administer the ESA. The Court held that a “voluntary state conservation agreement” can be considered by the Service in deciding whether or not to list a species as endangered under the ESA. Deliberate Process Privilege Remains Strong But Is Not Absolute. On February 10, the Court, in Competitive Enter. Inst. v. Office of Science and Tech. Policy, interpreted the Information Quality Act (IQA), Freedom of Information Act (FOIA), and a short White House video on global warming. The Court held that 47 pages of internal communications (mostly drafts) that preceded the issuance of a three-page letter from the White House Office of Science and Technology Policy (OSTP) were covered by the FOIA’s “deliberative process privilege,” but not those documents shared with outside consultants that were not part of the deliberate process. Fish and Wildlife Service Ordered to Take a Harder Look Before Issuing Order. On March 29, the Court, in Public Employee for Envtl. Responsibility v. U.S. Fish and Wildlife Serv., held that two of the Service’s orders which authorized the killing of double-crested cormorants—a Migratory Bird—were issued in violation of the National Environmental Policy Act (NEPA). List of Cleanup Site on EPA’s NPL Revives Stale Claims. On February 9, a New York District Court, in State of New York, et al., v. Next Millennium Realty, LLC, reviewed CERCLA’s statute of limitations as it pertains to a natural resource damages (NRD) claim. The Court held that claims that are otherwise time-barred can be revived if the cleanup site is later placed on EPA’s National Priority List (NPL). Ongoing, Diligent Prosecution Bars Citizens Suit. On January 6, the Court of Appeals, in Group Against Smog and Pollution v. Shenango, Inc., affirmed the dismissal of a Clean Air Act (CAA) citizen suit because of the ongoing diligent prosecution of Shenango when the lawsuit was filed (even though the enforcement is currently limited to the ongoing administration of approved consent decrees). Statute of Repose Did Not Bar Claims. On March 2, the Court of Appeals, in Stahle v. CTS Corp., ruled against CTS and its invocation of the North Carolina statute of repose to dismiss claims premised on allegations that CTS’ operations discharged toxic solvents into a nearby stream to which the plaintiff was exposed and to which, many years later, caused his leukemia. The plaintiff lived in the area of the plant from 1959 until 1968, and only filed this lawsuit in 2014. Since there was no definitive decision from the North Carolina Supreme Court, the Fourth Circuit was compelled to make an educated guess as to how that Court would interpret the statute. The Court held that the Supreme Court would not have interpreted the statute of repose to force the dismissal of Stahle’s claims. FTCA Time Bars Are Subject to Equitable Tolling. On February 8, the Court, in Trinity Marine Prod., Inc. v. U.S., reviewed the application of the Federal Tort Claims Act (FTCA) statute of limitations for illegally storing hazardous waste without a permit where federal agents involved in the investigation and prosecution of the case were engaged in an extramarital affair and one of the agents committed perjury and obstructed justice in attempting to conceal these facts. The Court agreed with Trinity that because it did not learn about the extramarital affair and its impact until 2011, the “discovery rule” and the doctrine of equitable tolling make the two-year statute inapplicable. Conviction Could Not Stand Where Defendant Was Not the “Master” of the Vessel. On March 14, the Court, in U.S. v. Fafalios, issued a ruling interpreting the Coast Guard’s rules implementing the Act to Prevent Pollution from Ships and reversing the criminal conviction of Matthios Fafalios, a merchant seaman serving as the chief engineer on a cargo vessel. Fafalios, fearing that the amount of bilge water the vessel had accumulated threatened to engulf the vessel’s engine room and on-board machinery, authorized the direct discharge of untreated oily bilge water into the ocean. A whistleblower alerted the authorities when the vessel reached port, and Fafalios was charged with and convicted of violating the rules regarding the maintenance of the oil record book. Reversing the conviction, the Court agreed with Fafalios that the government failed to establish one of the essential elements of the offence, namely that he was the “master” of the cargo vessel. Clean-up Responders Protected by Discretionary Function Immunity. On February 16, the Court, in In re: Oil Spill by the Oil Rig “Deepwater Horizon” in the Gulf of Mexico on April 20, 2010, issued a ruling dismissing with prejudice the “B3 Claims” filed against the clean-up responders engaged by the federal government to respond to and clean up the Deepwater Horizon oil spill. If the federal government validly conferred its authority upon these contractors, the Court held they were entitled to “derivative immunity” under the Clean Water Act (CWA), and “discretionary function immunity” under the FTCA. Listing of Lesser Prairie Chicken as a Threatened Species was Arbitrary and Capricious. On February 29, the Court, in Permian Basin Petroleum Assoc., et al. v. Dep’t of the Interior, denied the motion of the Service to remand and not to vacate its ruling that the listing of the Lesser Prairie Chicken as a threatened species as arbitrary and capricious. An appeal with the Fifth Circuit has been filed by the Department. Procedural Violations Not Subject to CWA Citizens Suit Enforcement. On January 6, the Court of Appeals, in Askins v. Ohio Dep’t of Agric., et al., affirmed the district court’s dismissal of a CWA citizen suit filed against the Ohio Department of Agriculture, Ohio EPA and U.S. EPA alleging that these agencies violated the CWA’s agency permitting procedures for water pollution generated by large animal feeding operations in Ohio (CAFOs). The U.S. EPA authorized the Ohio EPA to administer the state National Pollutant Discharge Elimination System (NPDES) permitting program, and the CAFO permitting programs were later delegated to the Ohio Department of Agriculture – but without obtaining the U.S. EPA’s contemporaneous authorization. The Court affirmed the district court’s holding that none of these alleged procedural violations of the CWA were actionable because they were not specified by the Congress as sections subject to the citizen suit provisions. Sixth Circuit has Jurisdiction to Hear Challenges to New Definition of “Waters of the United States.” On February 22, the Court, in In re: US Department of Defense and US Environmental Protection Agency Final Rule: Clean Water Rule: Definition of “Waters of the United States’, 80 Fed. Reg. 37054 (June 29, 2015), held that it has jurisdiction to hear challenges to the new rule promulgated by the EPA and the Corps of Engineers, re-defining the regulatory definition of “Waters of the United States,” a definition which is fundamental to the regulatory operation of the CWA. Complicating matters somewhat, on February 18, the Eleventh Circuit Court of Appeals, in State of Georgia, et al, v. Regina McCarthy, which has a similar challenge to this rule, issued an order holding in abeyance an oral argument that was scheduled to take place on February 23 because of the then-pending decision of the Sixth Circuit, and has asked the litigants what action it should take in the wake of the Sixth Circuit’s ruling. SDWA Permit Challenges Are Moot. On February 23, the Court, in DJL Farm LLC, et al., v. EPA, dismissed as moot several challenges to Safe Drinking Water Act (SDWA) permits issued to Future Gen Industrial Alliance to construct and operate Underground Injection Control (UIC) wells to store large quantities of carbon dioxide near the land of the petitioners because the permits had already expired. “Uncontained” Gaseous Materials Are Not Solid Waste Under RCRA. On February 10, the District Court for the Eastern Division of Illinois, in Northern Illinois Gas Co., dba Nicor Gas Co., v. City of Evanston, IL, et al., held that uncontained natural gas allegedly leaking from active gas pipelines and associated infrastructure into soil, groundwater and bedrock is not a solid waste subject to regulation under Section 6903(27) of the RCRA. ICCTA Preempts State-Law Tort Claims. On December 28, 2015, the Court, in Tubbs, et al., v. Surface Transp. Bd., denied a petition to review an administrative decision of the Surface Transportation Board (STB) which held that the Interstate Commerce Commission Termination Act (ICCTA), codified at 49 U.S.C. § 10501(b), preempts the plaintiffs’ state-tort law claims against the BNSF Railway Company. Salt Used to Control Snow and Ice is Not RCRA Solid Waste. On February 22, the Court, in Krause v. City of Omaha, an unpublished opinion, held that road salt routinely used for the control of snow and ice on highways is not a solid waste under RCRA. The Court cited a 2013 Ninth Circuit ruling in Ecological Rights Found. v. Pacific Gas & Elec. Co., et al., which involved the use of wood preservatives on utility poles, and which came to the same conclusion. EPA’s Approval of Minnesota’s “Regional Haze Implementation Plan” Upheld. On March 14, the Court, in National Parks Conservation Assoc., et al. v. McCarthy, held that EPA’s approval of Minnesota’s Regional Haze Implementation Plan based on the Transport Rule was not arbitrary and capricious and, similarly, EPA’s approval of the plan’s “reasonable-progress” goals was proper. One of the important issues the Court decided was whether it had jurisdiction under the CAA to hear that part of the case related to the Minnesota State Implementation Plan’s (SIP) reliance on the Transport Rule. Reviewing 42 U.S. C. § 7607(b), two of the three panel judges, held that the Eighth Circuit has jurisdiction because the SIP’s reliance on the Transport Rule was based on local issues and was not nationwide in scope and effect, which would have forced this case to the D.C. Circuit. Standing Found to Challenge Services’ Failure to Regulate Disposal of Spent Lead Ammunition in National Forest. On January 12, the Court, in Center for Biological Diversity, et al., v. U.S. Forest Serv., in an unpublished opinion, reversed the district court’s dismissal of a RCRA citizens suit filed against the Service which alleged that the Service violated the RCRA by failing to regulate the disposal of spent lead ammunition in a national forest. The Court held that the plaintiffs had established standing—their claims are “not wholly insubstantial or frivolous.” The Court noted that the government could make the argument to the district court that the Service was not a “contributor” to the solid waste problem, something the RCRA citizen suit provision requires for prosecuting such complaints. Water Rights Do Not Trump Federal Grazing Permit Requirements. On January 15, the Court, in U.S. v. Estate of E. Wayne Hage, et al., reversed the district court’s ruling that the federal government could not prosecute an action for damages or injunctive relief against ranchers who were grazing their cattle on federal land without a federal grazing permit. The district court ruled that the Hages’ water rights provided a defense to the trespass claims and the government’s counterclaim “plainly was barred by the statute of limitations.” On review, the Court noted the strident animosity against the federal government in the district court’s conduct of a 21-day bench trial, including holding federal officers in contempt, was a reason for reversing the district court, and directed that further proceedings in this case be handled by another federal judge. The district court’s rationale was otherwise described by the Ninth Circuit as being inconsistent with federal law and Ninth Circuit precedent. Obstacle to Presidio Army Base in San Francisco Renovation Removed. On January 27, the Court, in Presidio Historical Assoc., et al., v. Presidio Trust, affirmed the lower court’s summary judgment in favor of the Presidio Trust, removing one more obstacle to the consummation of plans to renovate and protect the old post. Service’s Designation of Critical Habitat for the Polar Bear to Be Upheld. On February 29, the Court, in Alaska Oil and Gas Assoc., et al. v. Jewell, reversed the ruling of the district court, which vacated the Service’s designation of the critical habitat for the Polar Bear, listed as a threatened species in 2008 and for which a critical habitat was determined by the Service in 2010. The final critical habitat designation encompassed 187,000 square miles, which was broken down into three segments. The Court held that the Service followed the law, and indeed the district court erroneously required the Service to adhere to a “standard of specificity” that the ESA does not require. Appeal of Preliminary Injunction Moot After Offshore Exploration Activities Ceased. On March 4, the Court, in Shell Offshore Inc., et al., v. Greenpeace, Inc., held that Greenpeace’s appeal of a preliminary injunction, issued against it by the district court in view of Greenpeace’s strident efforts opposing Shell’s offshore Alaska exploration activities in Alaska, was moot. In September 2015, Shell announced it was ceasing these exploration activities for the foreseeable future. The preliminary injunction expired on November 1, 2015. Hazardous Substance Remedial Action Insurance Exclusion Upheld for Indian Tribes Claims. Upon On January 7, a magistrate judge, in Century Indemnity Company v. Marine Group, LLP, et al., held that an insurance policy provision which excludes coverage for environmental claims brought by governmental agencies extends to Superfund natural resource damage claims asserted by Indian tribes that are members of a Superfund Trustee Council. Equitable Tolling Doctrine Not Applicable for Permit Violation. On March 8, the Court, in Sierra Club v. Oklahoma Gas and Elec. Co., affirmed the district court’s dismissal of the Sierra Club’s CAA citizens suit seeking civil penalties against OG&E, the owner and operator of a coal-fired power plant in Muskogee, Okla., because the complaint was time-barred under 28 U.S.C. § 2462’s five-year statute of limitations. Sierra Club alleged that, starting in March 2008, OG&E modified a boiler serving a plant located in an “attainment” area for purposes of the CAA without first obtaining the necessary permit. Being a major facility, the OG&E plant is subject to the permitting requirements of the Prevention of Significant Deterioration (PSD) program as implemented by the Oklahoma Department of Environmental Quality. The majority of judges on the panel decided that the plain reading of Section 2462 provides that the Sierra Club’s action accrued in March 2008 when the modifications started. FTCA Claims Time Barred. On February 8, the U.S. District Court for the District of Wyoming, in Garling, et al., v. U.S., dismissed the plaintiffs’ FTCA claim complaining of the consequences of an armed federal raid in 2007 on the environmental testing laboratory they operated in Caspar, Wyo. The laboratory was certified by the National Environmental Laboratory Association Program and under the Safe Drinking Water Act (SDWA). Suspecting that the laboratory was submitting falsified water quality records, an “armed raid” of the laboratory was conducted by EPA’s Criminal Investigation Division, the U.S. Marshal’s Office and “other unidentified personnel.” Plaintiffs’ employment was terminated in February 2008, and the investigation was closed in June 2012. More than five years passed before the plaintiffs filed an administrative complaint with EPA under the FTCA, alleging that the raid was “reckless and in grossly negligent disregard.” Appearing pro se, plaintiffs argued that they did not learn the full extent of the investigation and raid until important information they requested from the government was received in response to their FOIA requests. The Court was not persuaded that this was a case for an equitable tolling of the FTCA and dismissed the claims as time-barred. Reduction of Value of Conservation Easement Rejected. On February 5, the Court of Appeals, in Palmer Ranch Holdings, LTD, et al., v. Commissioner of IRS, affirmed the Tax Court’s decision regarding a contested evaluation of a conservation easement that resulted in significant claimed deductions. The American Bald Eagle has a nest on a portion of an 82-acre tract located in Sarasota County, Fla. That portion also serves as a “wildlife corridor,” and concerns over the presence of the eagle, the corridor and wetlands thwarted the plans of the property owners to sell the land for residential development. To obtain the necessary local permission, in 2006, the property owners donated a conservation easement over the land to Sarasota County, taking a substantial tax deduction in their 2006 returns. The IRS challenged the deduction, which was based on the owners’ evaluation of the easement as being over $25M, concluding that the easement, based on the highest and best use of the property, should be valued at $7.7M. The Tax Court ruled in favor of the property owners, but reduced the valuation of the easement to $21M. On appeal, the Court largely upheld the Tax Court, but remanded the case to the Tax Court for an explanation of its reasoning for its $21M valuation. Railroad Commission Entitled to Have Jury Assess Its Good Faith Defense. On January 29, the Texas Supreme Court, in Railroad Comm’n of Texas v. Gulf Energy Exploration Corp., in a unanimous opinion, reversed a decision of the Court of Appeals for the Thirteenth District (Corpus Christi) sustaining the liability of the Commission for the erroneous plugging of an abandoned offshore well. The Court ruled that the Commission was entitled to have the jury assess its good faith defense. Company Threatened by Administrative Agency Interpretation has the Right to Seek a Judicial Declaration that the Interpretation is Erroneous. On December 29, 2015 the Pennsylvania Supreme Court, in EQT Prod. Co. v. Department of Envtl. Prot. 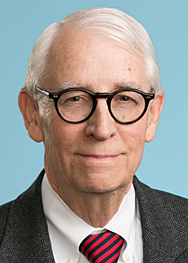 of the Commonwealth of Penn., decided that “a company threatened by an administrative agency with ongoing, multi-million-dollar penalties per such agency’s interpretation of a statutory regime has the right, immediately, to seek a judicial declaration that the agency’s interpretation is erroneous.” The Court held that “the impact of the Department’s threat of multi-million dollar assessments against EPC was sufficiently direct, immediate, and substantial to create a case or controversy justifying pre-enforcement judicial review via a declaratory judgment proceeding, and that exhaustion of administrative remedies relative to the issues of statutory interpretation that the company has presented was unnecessary.” The Court noted that both EPC and the amicus briefs filed on its behalf argued that this case was analogous to the 2012 U.S. Supreme Court ruling in Sackett v. EPA, which held that an EPA administrative compliance order was subject to pre-enforcement review in the federal courts.